According to the Epilepsy Foundation, epilepsy is the fourth most common neurological problem. Only migraine, stroke and Alzheimer's disease occurs more frequently. And the average incidence of epilepsy each year in the United States is estimated at 150,000, or 48 for every 100,000 people. You are listening to ReachMD, and I am your host, Dr. Jennifer Caudle, and joining me today are Drs. Kathryn Davis and Timothy Lucas. Dr. Davis is an Assistant Professor of Neurology and the Medical Director of the Epilepsy Monitoring Unit and Epilepsy Surgical Program at the University of Pennsylvania. Dr. Timothy Lucas is an Assistant Professor of Neurosurgery, the Surgical Director at the University of Pennsylvania Epilepsy Center, and the Director of the Penn Center for Laser Neurosurgery. 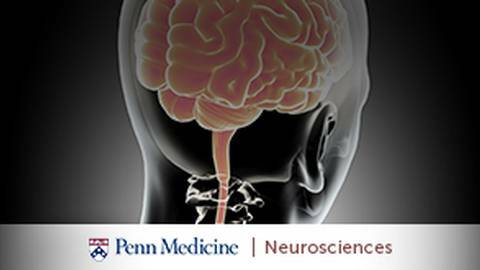 Today we will be discussing Advances in Epilepsy, specifically at Penn Medicine. Dr. Davis and Dr. Lucas, welcome to the program. So, let's first start out. How many people are living with epilepsy, and what is the quality of life for these patients? So, there are about almost 3 million people in the United States living with epilepsy and over 60 million worldwide. The quality of life for these patients is greatly affected by their epilepsy, and it's really impacted by how severe their epilepsy is. About one-third of these patients have poorly controlled epilepsy on their seizure medications. The seizures themselves are not the only problem. There are other consequences to their quality of life, if or how they can work and in what environment, whether they can drive. There's a high comorbidity with depression and other psychiatric diseases. Okay. And can you talk a little bit about how epilepsy is diagnosed? What techniques are being done at Penn to map seizures in patients with epilepsy? So, epilepsy initially is a clinical diagnosis, but then there are various tools that we can use to confirm that diagnosis. So, most important is listening to your patient and hearing what kind of events they're having at home. And really, what happens during a seizure is reflective of where in the brain that seizure is coming from. So that's definitely still a very important part of epilepsy care, but we also use various different tests to begin with, a scalp EEG which looks at the brain waves of the patient and we can make a diagnosis based upon that study, in addition to high-resolution brain MRI scans that can additionally help in the diagnosis. And then in patients that don't respond to medications, we often do additional testing with more advanced neuroimaging methods and EEG analysis with video recording in the hospital in the epilepsy monitoring unit, and then sometimes when we are considering surgery, do more invasive intracranial EEG evaluations as well. That's very helpful. And before we talk a little bit about surgical options, can you talk about maybe some of the nonsurgical treatment options and therapies that are available for patients with epilepsy? Of course. So, there are an expanding number of epilepsy medications that are becoming available. Really, there's an explosion of new medications in the marketplace more recently, which gives us an opportunity to find a better combination of meds to hopefully improve seizure control but also improve side effects and quality of life for our patients. So, as it's gotten more and more complicated, I feel it's more important for patients who are not responding to their medications or having side effects with medications to see an epilepsy expert who has full understanding of the very complicated expanding field of epilepsy medication. So, that's certainly the first and foremost treatment. There are also nonsurgical therapies such as dietary therapies, which are more commonly used in the pediatric population. Okay, great. And, Dr. Lucas, I wanted to just shift to you for a little bit. Many epileptic patients learn to live with the disease, and surgery really might be viewed as elective. What concerns do patients have going into surgery, and how do you ease their mind about these, and maybe if you could just make a brief statement about surgical procedures for epilepsy? Absolutely. So, for individuals who still have seizures while on antiseizure medications, there are at least four treatment options to reduce and even cure epilepsy. The first is an old therapy that we still use with good efficacy today, which is vagal nerve stimulator. VNS is a device that reduces seizures by activating a peripheral nerve in the neck. The latest model of the VNS even detects changes in vital signs associated with seizures so that stimulation is synchronized to seizure onset. This is an important advance compared to historical models of VNS because 80% of seizures are associated with an increase in heart rate right at seizure onset. It does not require the patient to swipe a magnet or even have a prodromal aura to activate the VNS. The device can detect that change in heart rate all by itself. This is particularly helpful for people who have seizures that originate from sleep when they might not be aware that the seizure is starting. The second treatment is removal of the seizure site. This treatment identifies the origin of an individual's seizures and removes them surgically to stop the seizures before they even begin. We do this traditional type of surgery as well as minimally invasive surgical techniques developed at Penn for select cases. The third treatment option is treatment of the seizure site with laser therapy. This is a relatively new treatment where we use a small laser fiber. The fiber itself is thinner than a pencil lead and is used to ablate the seizure site in a very precise manner. This is the least invasive treatment option. It typically involves just an overnight stay in the hospital. The last treatment option is recently FDA approved. It's called responsive neurostimulation. This is for patients that have more than one seizure site or for those individuals who have a seizure site that's not in a safe location to surgically remove or to ablate with a laser. In those cases which were previously untreatable, we now use the medical device RNS which is FDA approved. It works like a smoke detector. Every time the device senses a seizure starting, the device stimulates that area like a fire extinguisher before the seizure can spread to other parts of the brain. Those are the four surgical options that we use only if someone is medically refractory to standard medications. In response to the question about what concerns people have about surgery and being afraid to talk to surgeons about epilepsy surgery, the most important thing to recognize is that our role is really just to provide education and information to individuals. Treatments to reduce or cure seizures offer hope to these individuals who have frequently suffered with seizures for decades. The treatments nowadays have very low-risk profiles and they have a very high probability of success compared to adding additional medications after the first three medications have failed and the seizures persist. So, the first step is simply meeting with one of the Penn Epilepsy Center providers to talk about that individual's condition and figure out which therapies might be most appropriate for them specifically. If you are just tuning in, you are listening to Medical Breakthroughs from Penn Medicine on ReachMD. I am your host, Dr. Jennifer Caudle, and I'm speaking with Drs. Kathryn Davis and Timothy Lucas, both from the University of Pennsylvania. We are discussing the latest advances in the treatment of epilepsy. So, moving forward, let's shift gears a little bit and talk about medical marijuana. Medical marijuana is a hot topic for so many reasons lately, but especially for this particular community. Dr. Davis, can you talk a little bit about what the research says about medical marijuana? Of course. It is for sure a very hot topic. So, many people saw this publicized on many very popular TV shows, and the public interest is actually very high. It's one of the most commonly asked questions in clinic. As in many things, I think a lot of the excitement predated some of the research, but fortunately there have been some very successful recent research trials mostly to date focused on two less common epilepsy syndromes but very severe ones -- Dravet syndrome and Lennox-Gastaut syndrome. There's been two clinical trials using a drug called Epidiolex, which is a CBD compound, with initial very positive results and which, I believe, the company does have plans to go to the FDA for hopefully approval in the near future. Currently, it is my opinion that we need this kind of high-quality research to answer the question regarding whether CBD, which is one of the components of marijuana, is efficacious for various different kinds of epilepsy. So, currently, we have very exciting preliminary data in these two very severe types of epilepsy, but we definitely need to continue to do high-quality research studies to answer the question regarding whether CBD can be helpful in other types of epilepsy as well. That's very interesting. Let's talk a little bit about epilepsy research. Dr. Lucas, can you tell us what's on the horizon for epilepsy research and really what is the impact, the potential impact, of this research for patients? There are a number of landmark shifts that are coming in the field of epilepsy treatment and epilepsy surgery. Concerning epilepsy surgery, the advent of laser technologies has revolutionized our treatment of patients. As we've mentioned, laser surgery for epilepsy is a minimally invasive technique where patients have a very focal site of seizure generation -- they’re ictal onset we would call it -- ablated with the laser treatment that takes just a few moments and they go home the next day. On average, those wounds are 1 millimeter in length and are closed with a single, absorbable suture. This is a game-changer for all of epilepsy surgery. It does not require large craniotomies, which we have historically done, of course. Though, at the Center for Laser Neurosurgery, we are seeing tremendous advances and moves towards improving outcomes and quality of life for our patients while minimizing risks. Another big game changer, in my opinion, is the work that Dr. Davis is pioneering with respect to finding hidden seizures. So, as I'm sure see can elaborate, she and her colleagues have developed a technique called GluCEST which enables us to see seizures that other scans have missed. I believe this will open the door for many patients who were previously not considered candidates for additional treatments because now we'll be able to find their seizure sites once and for all. Wonderful. You know, Penn is doing a number of things, a number of different programs and things like that, and what I wanted to ask you, Dr. Davis, is about Penn's transition program to adult care for children and young adults with epilepsy. Can you talk a little bit about this transition program? Of course. We're very fortunate to be next door neighbors with the world renowned institution of Children's Hospital of Philadelphia and are very close colleagues with all of the epileptologists there, but they are separate institutions, and this is a problem across the country, really, how to successfully move a pediatric epilepsy patient, or any pediatric patient with a chronic disease, to the adult setting. And I think we've done an excellent job at this and, really, this has been led by our nurse practitioner within the Epilepsy Center who has established relationships with her colleagues at Children's Hospital and now at other children's hospitals in our area to bring over accurate data regarding patients’ history in addition to what other services they may need when they transition over to the adult world. Whether it be a cardiologist, a pulmonologist or a dermatologist, etc., we can help set all of those different appointments up for them and make sure that they safely make the transition to an adult neurologist and also with as little stress as possible. So, we've gotten absolutely wonderful feedback, and I personally think that it's made a tremendous difference in the lives of these patients and their families. I can only imagine how much it really has made a difference. That is a very important thing. It's nice to hear about this transition program that you all have. You know, we're coming to the close of our interview, and I have a final question, really, for both of you. Can you both share what research is going on at the University of Pennsylvania related to epilepsy? Perhaps, Dr. Davis, if you'd like to begin. Of course. So, there are several major lines of research that I personally and my colleagues have been focusing on recently. My main personal interest is in the drug-resistant epilepsy population, which really is about one-third of our patients and the most challenging patients to treat. Of these patients, many of them do not have identifiable abnormalities on their brain imaging, and myself and my colleagues have been working on new novel techniques to try to find these hidden lesions, one of which is a technique called GluCEST, which can look at glutamate levels, which is the most common excitatory neurotransmitter in the brain. So, we're very excited about this and other work. In addition, with Dr. Brian Litt's laboratory and other colleagues, we have been looking at machine-learning techniques to identify seizure onset zones, looking at intracranial and scalp EEG. Ultimately, we, of course, want to combine all of these different research projects to help streamline getting the correct answer for our patients and improving seizure-free rates after various treatments. I should also mention Dr. Frances Jensen, the Chair of Neurology, is also an epilepsy researcher, and her work has focused on neonatal anoxic injury, the subsequent epilepsy that often develops. In addition, she has done histopathological studies on the tissue that is resected by Dr. Lucas in the operating room to ultimately try to correlate changes in the tissue with the EEG changes and imaging changes that the other laboratories are looking at. Dr. Lucas, did you have any input that you wanted to share on that? I think Dr. Davis illustrates many very productive examples of the lines of investigation. Just two additional comments: One is that we are actively trying to reduce morbidity associated with all procedures relating to epilepsy surgery, and in one initiative we've been trying to reduce known surgical complications such as infections. Of course, any time you have a surgical procedure there's always the specter of infection and we try to minimize that to the greatest extent possible, so using some innovative techniques we've been able to reduce our surgical infection rate to 0.6%, which is the lowest that we're aware of. That means that fewer than 1 in 200 individuals will have any signs of infection such as redness following surgery. And then we're working actively on trying to reduce cognitive sequelae of surgery, and we're trying to do this by introducing a number of minimally invasive techniques so that our patients have the largest, most fruitful cognitive outcome, as well as reduction in seizure frequency. Wonderful. Well, Drs. Davis and Lucas, thank you so much for joining us today on ReachMD and sharing your insights on epilepsy. I am your host, Dr. Jennifer Caudle, and thank you so much for listening. You've been listening to Medical Breakthroughs from Penn Medicine. To download this podcast or to access others in the series, please visit ReachMD.com/Penn and visit Penn Physician Link, an exclusive program that helps referring physicians connect with Penn. Here you can find education resources, information about our expedited referral process, and communication tools. To learn more, visit www. PennMedicine.org/physicianlink. Thank you for listening. Neurologist Dr. Kathryn Davis and neurosurgeon Dr. Timothy Lucas discuss the latest treatment protocols for epilepsy. According to the epilepsy foundation, epilepsy is the 4th most common neurological problem in the U.S. – only migraine, stroke and Alzheimer’s disease occur more frequently. The average incidence of epilepsy each year in the U. S is estimated at 150,000, or 48 for every 100,000 people. Host Dr. Jennifer Caudle talks with Doctors Kathryn Davis and Timothy Lucas about advances in treatment for epilepsy at Penn Medicine. Dr. Davis is Assistant Professor of Neurology and Medical Director of the Epilepsy Monitoring Unit and Epilepsy Surgical Program. Dr. Timothy Lucas is Assistant Professor of Neurosurgery, Surgical Director at the Penn Epilepsy Center, and Director of the Penn Center for Laser Neurosurgery.